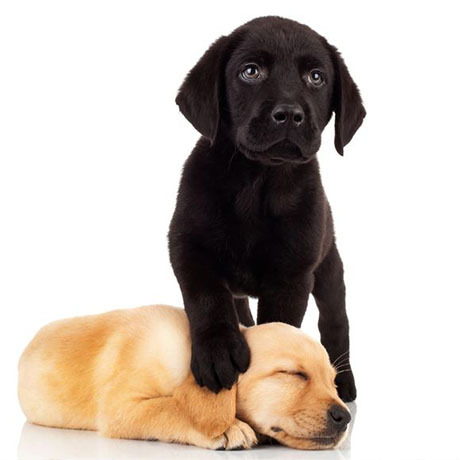 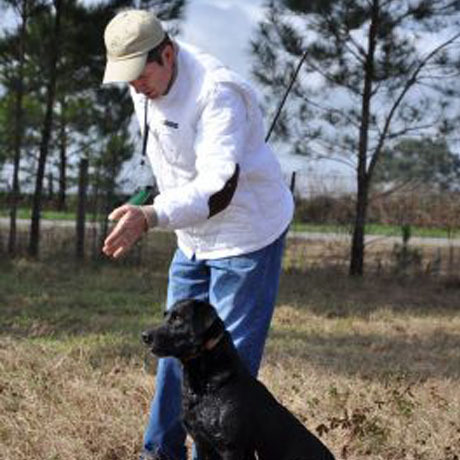 At Handjem Retrievers, Mike and his assistant, Ray Voigt, train 24 dogs daily in situations designed to prepare them for the rigors of all-age field trial competition. 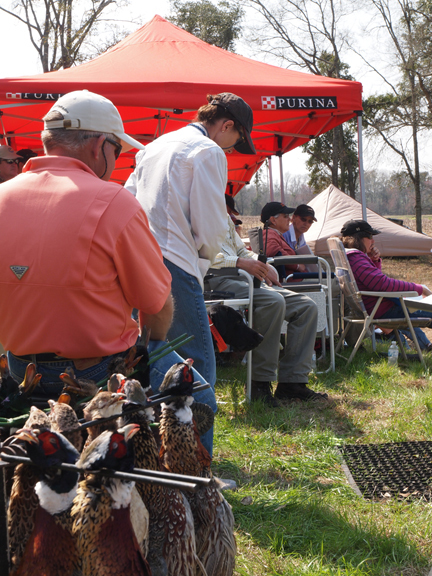 With facilities in Montello, Wisconsin and Boston, Georgia, Handjem offers year round training with outstanding land and water venues. 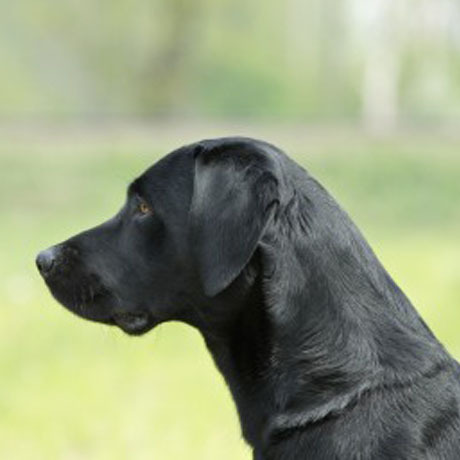 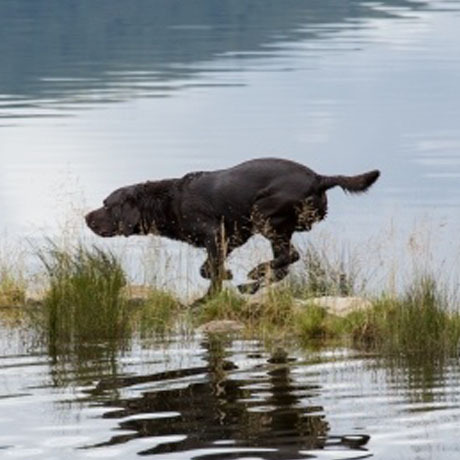 The 2014 dog inductees to the Retriever Hall of Fame are two Handjem-trained dogs, Dual CH-AFC JJ's Jessie (below) and NFC-AFC Cashman's Fat Lady Zingin. 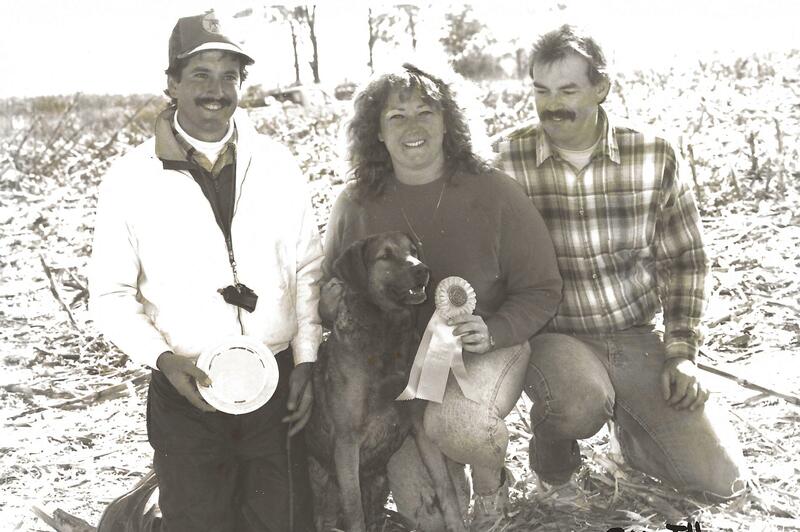 Handler Mike Lardy with new Field Champion JJ's Jessie and owners Linda and Mitch Patterson at the Del-Bay Retriever Club Fall trial in 1987. 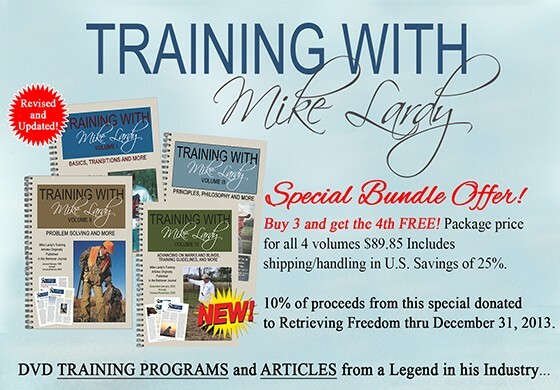 Buy Mike Lardy's Products Today!